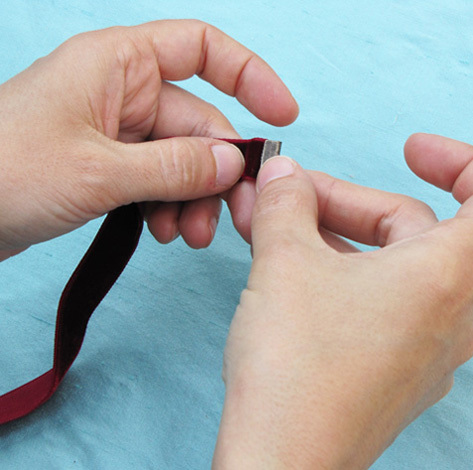 Attaching choker ends to velvet or satin ribbon so that they stay on securely requires a little glue and a snug fit. 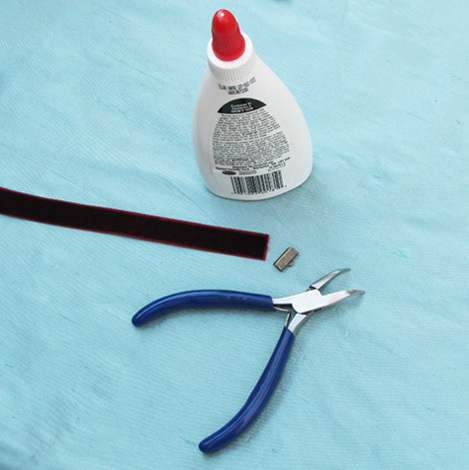 You can use a little white glue or fabric glue on the edge of the ribbon. 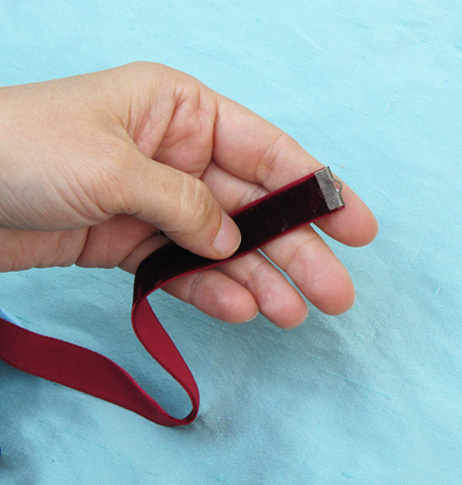 Place your ribbon in the metal end. Make sure it is centered. 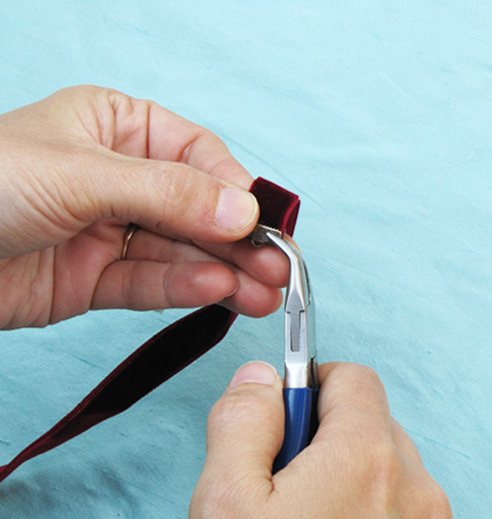 With a pair of needle nose or bent nose pliers gently squeeze the metal closed. 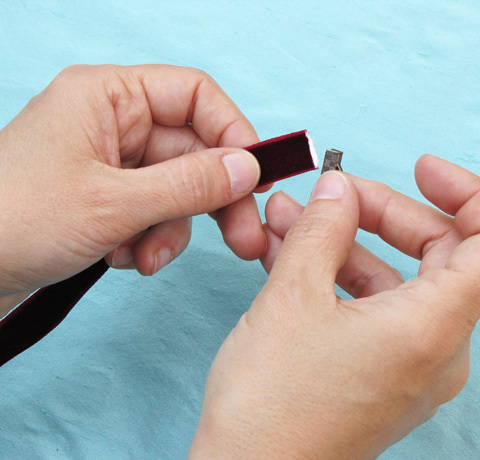 Do not apply too much pressure or you will mar the surface of the metal. 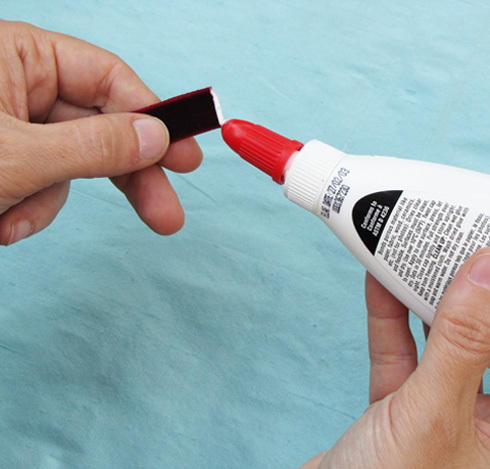 Squeeze the other side gently until it is fairly stable. 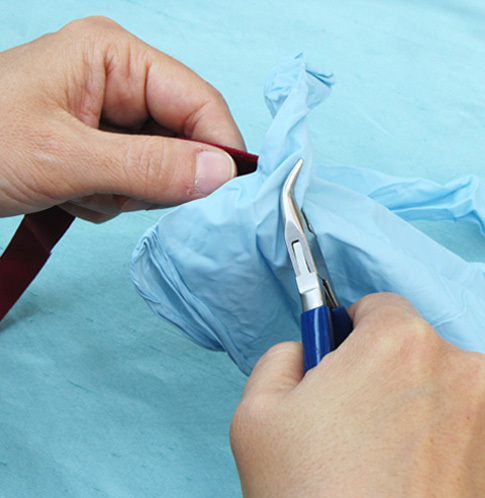 You can use a small piece of rubber, a rubber glove or a piece of leather to protect the metal while you give a firm squeeze with your pliers. 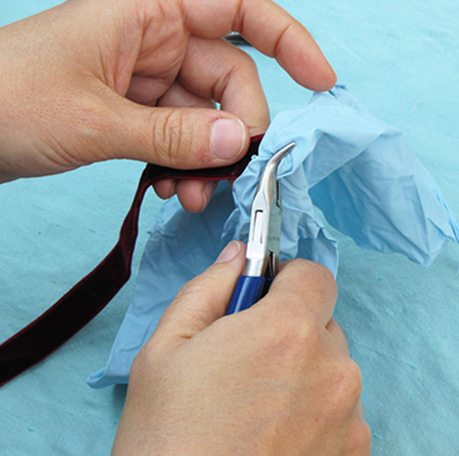 If you prefer you can use nylon jaw pliers that are made to not mar the surface you are working with but, they can be a little slippery. I find leather or rubber easy to use. Don't forget to squeeze both sides evenly. There you go...it is ready for a chain extension and a hook. 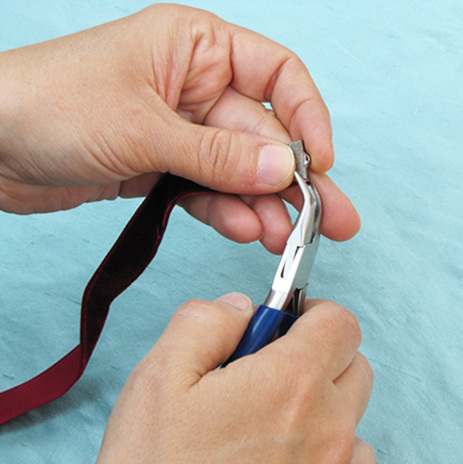 Tip: While you need to apply enough pressure, closing the ends too tightly may cause a the metal teeth on the ends to weaken a delicate ribbon.